Finally, an easy to install heavy duty self-closing hinge! SHUT IT is excited to release the newest in the line of BadAss Hinges - The Self-Closing BadAss Hinge Set. With the BadAss Self-Closing Hinge you no longer need a separate closer for jobs that require a self closing gate. The closer is built into the hinge! 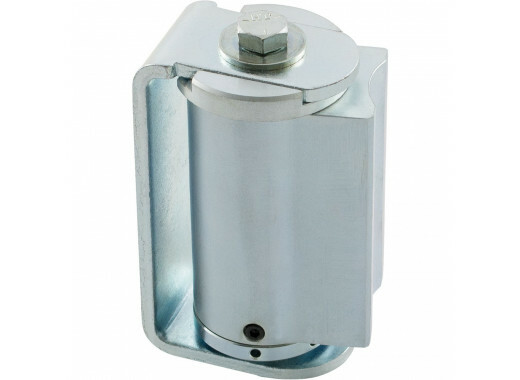 Get the benefits of the best heavy duty gate hinges and a reliable closer in one package. 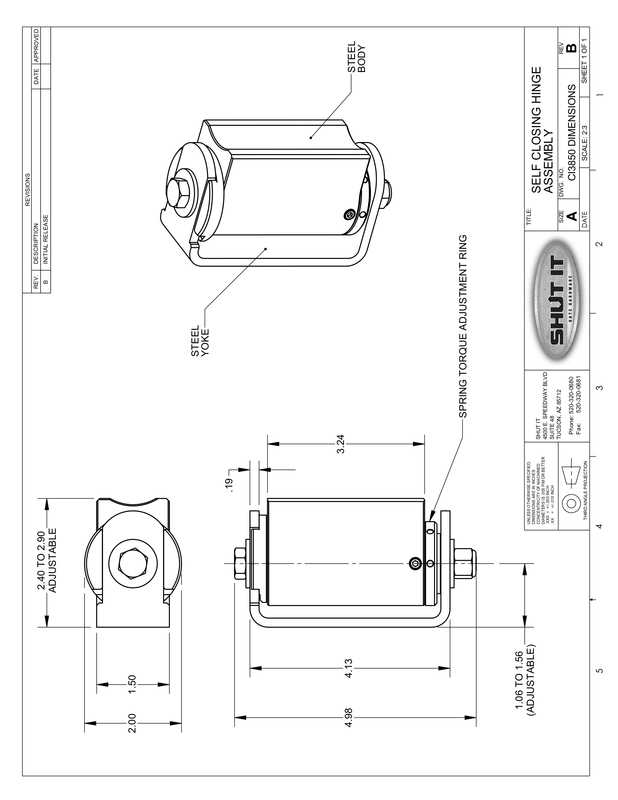 Save hundreds on poorly designed gate closers and hydralic door closers that are adapted to gate systems. Ideal for panic bar installations. SHUT IT Gate Hardware is proud to offer the best warranty in the industry for all of its wheel, hinge and guide products. For The Self Closing BadAss Hinge (CI3850) SHUT IT Gate Hardware guarantees all machined components (body, spacers and yokes) for the life of the gate on which it is originally installed. SHUT IT! Gate Hardware also guarantees on all remaining components (including bearings) for a period of five (5) years from date of original installation. The Self Closing BadAss Hinge (CI3850) has been given a rating of 2,000 lbs per hinge. Our ratings are principally based on the Basic Dynamic Load ratings provided and guaranteed by our bearing manufacturers. 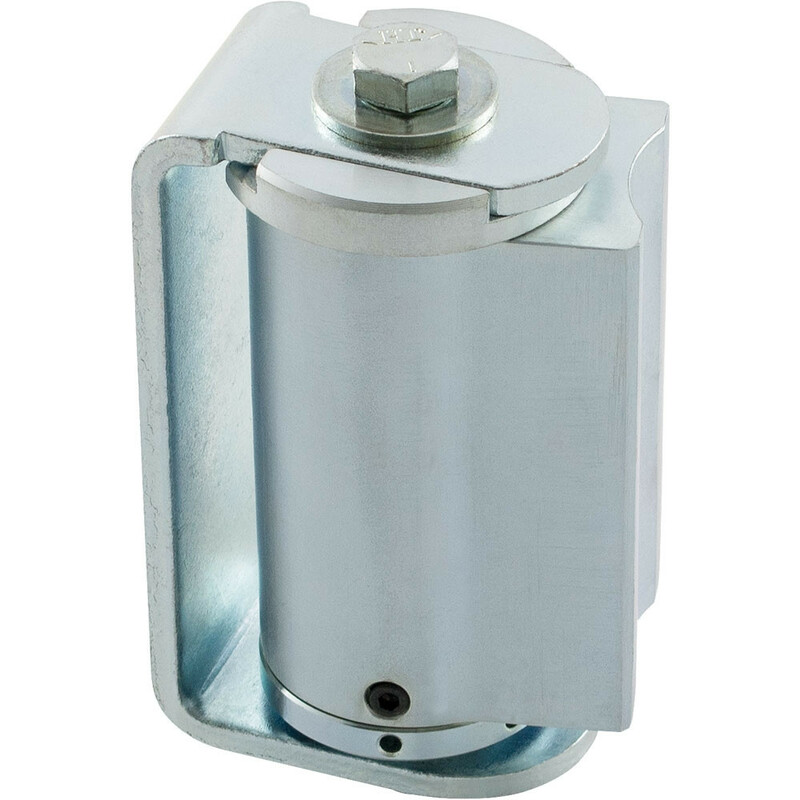 For The Self Closing BadAss Hinge (CI3850) each bearing has a BDL rating in excess of 1000 lbs and each hinge utilizes two bearings for a load capacity in excess of 2000 lbs. After we initially determined the BDL of our products we spent nearly 2 years testing the hinges in actual field installations to determine what we believe is a properly conservative capacity for each product.